When we think of basement leaks, we often think of the cause of these leaks being heavy rain. If rain causes basement leaks, why are these leaks ruining our holidays in the winter, too? It is important to keep in mind that basements can leak and flood at any time of the year, including the winter. Although the underlying cause of leaks is the accumulation of water around the structure, there are a variety of reasons why your basement may be leaking in the winter. Keep reading to find out! The most common way that water can enter your basement is through cracks in the foundation. When moisture accumulates in between the soil and the foundation wall on the exterior, there is a water pressure tends to build up. As a way to escape, the moisture forces itself into the cracks causing the basement to leak. It is important to note that water will continue to leak through the cracks until the cracks are repaired. Be sure to find the underlying cause of the cracks because simply repairing them will not prevent any future cracks from showing up. 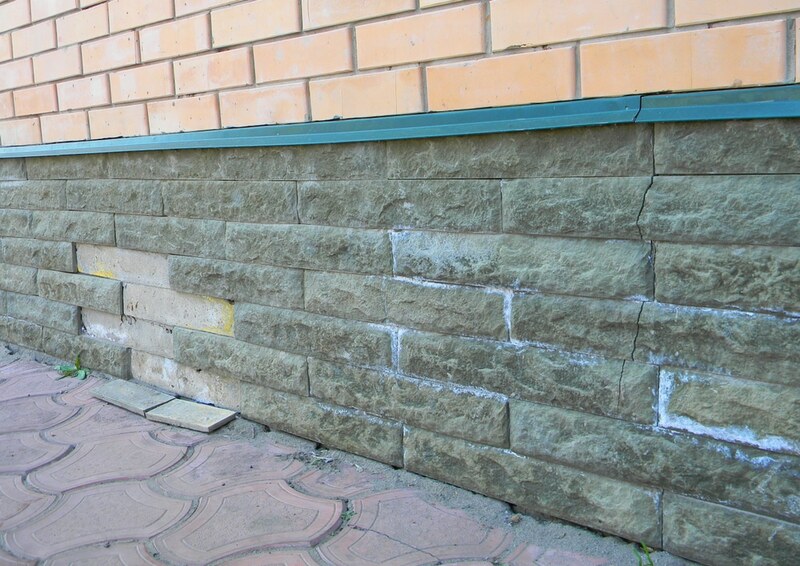 In most cases, cracks are caused due to the high-pressure changes that houses go through in between seasons. These pressures can cause great damage and create more cracks, eroding the foundation, and even causing structural failure! Address the problem right away to minimize the damage caused. Although it may be below zero outside, the temperature inside the basement tends to be much warmer. It is usually even warmer than the rest of the house. In the winter, the ground right at the exterior of the basement is frozen, cold, and covered in snow. The difference in temperature in such a close proximity causes the basement to radiate heat to the outside of the foundation. The heat that is radiated is typically done up to 8 inches outside the basement walls. The heat causes the built up snow to melt, making it accumulate moisture in between the soil and the foundation. As you read before, the accumulation of moisture will cause your basement to leak, even in the winter. Windows are an excellent way to ensure that sunlight can find its way through into a sometimes gloomy basement. However, they may also be the reason that your basement is leaking. Window wells essentially contain a drain that is positioned on the outside the basement window. Their main purpose is to keep soil and water away by draining it away from the foundation wall and window seals. If the window well does not have an efficient drainage system, the water will end up draining beside it. Then, hydrostatic pressure will force the water right into the basement either through the foundation wall or through the window seal itself. Another way that water can be collected is if the gutters are overflowing. Rainwater will gush out of the gutters due to the overflow and fill the window well with water. Visit GJ MacRae Foundation Repair at WetBasements.com website for more information about window wells and how we can repair them for you. A sump pump is installed in the basement to collect any excess water and direct it away from the foundation, preventing leaking and flooding. If the sump pump is not working correctly, water will eventually accumulate and flood the basement. It is important to monitor the sump pump regularly, especially before the winter season comes around, because there are many reasons why it could stop working unexpectedly. Some of these reasons include a power failure, improper or amateur installation of the sump pump, frozen drainage lines in the winter, and more. If you have checked your sump pump and it is not working correctly, visit our website for more information about sump pump repairs. These are the top 4 reasons that your basement may be subject to leaking in the winter. If you require any assistance or any services from GJ MacRae Foundation Repair at WetBasements.com, here is a list of the services that we offer all year round. For a complete list of our services or to contact us, visit GJ MacRae Foundation Repair at WetBasements.com online today!